My 7th string broke when I was tuning it today. I probably tried to tune it too high. This is a unique experience that only silk string guqin players would encounter. Metal string players would probably never experience a broken 7th string ever. 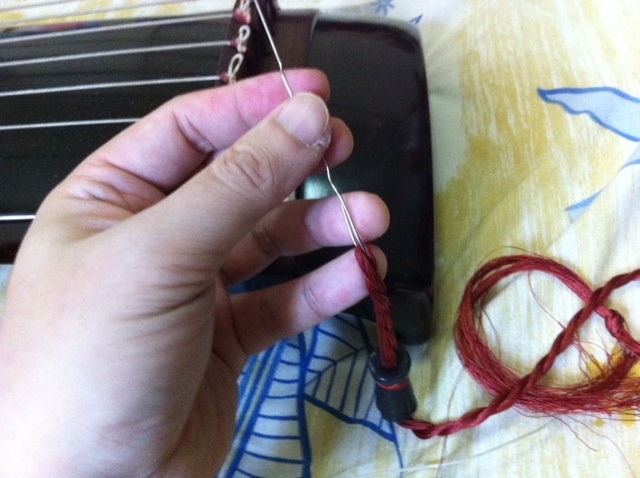 The nice thing about silk strings is: you can simply re-tie a knot on the broken silk string and then re-string it, and continue using it. 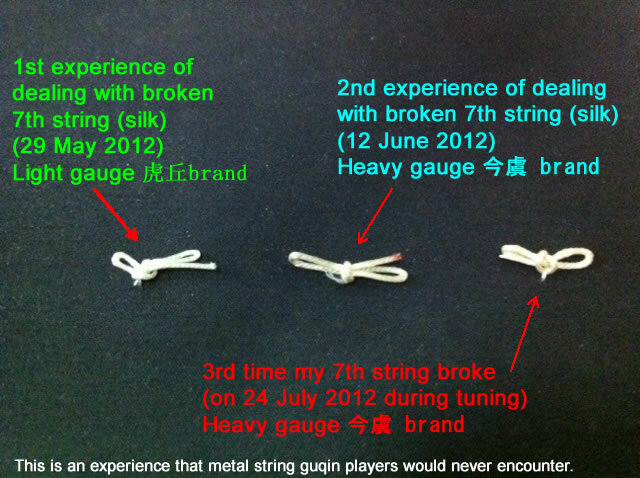 In contrast, for metal strings, if it is damaged, a new string would need to be purchased. I love using silk strings on guqin! As you can see in this picture, the "Rong Kou" fell out. I re-tied the knot on the broken 7th string. I followed this diagram to re-tie the knot. 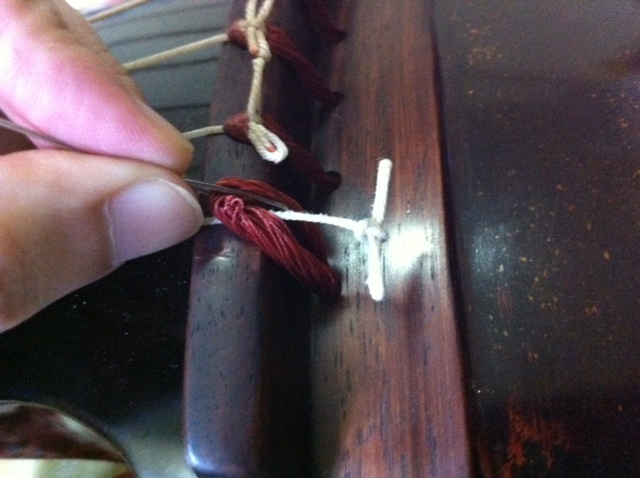 I used a paper clip to guide the Rong Kou back into the hole for the 7th string on the guqin. 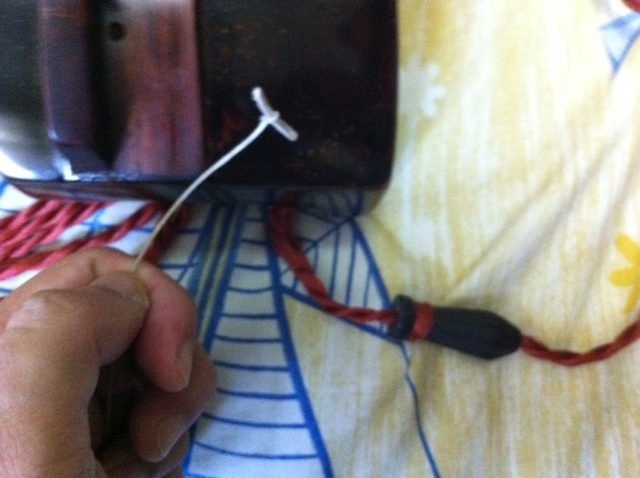 The 7th string with the newly re-tied knot was positioned properly with the Rong Kou. 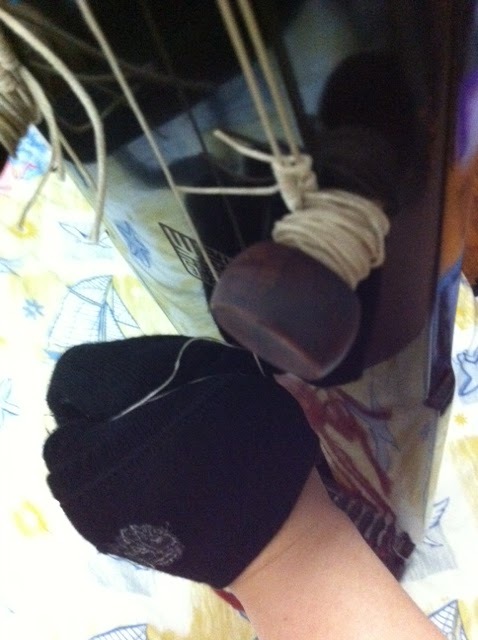 I wrapped my right hand with a clean thick sock so that the silk string would not hurt me when I pull the string tight. After the 7th string was wrapped tightly around the Goose Foot, it's back to business as usual. The whole guqin was tuned lower to A on the 1st string (instead of B-flat on the 1st string), and I continued to practise my pieces as usual. (*smile*) I love silk strings!